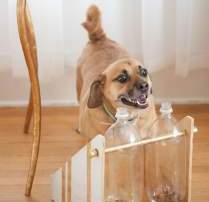 Treat Food Dispenser Try out this DIY Toy Treat Food Dispenser. It will keep your dog from being board, make them think and they will get a nice reward out of it. 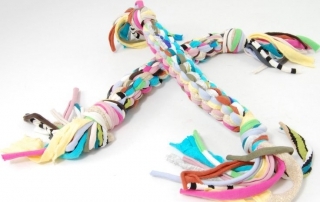 Try out some of these do-it-yourself dog toys. A great way to reuse items around the house.